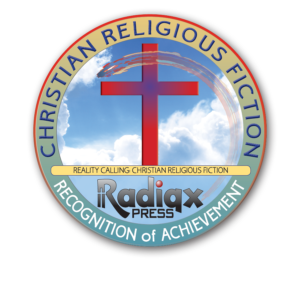 The Christian Religious Fiction Award by Reality Calling is a badge used by the reviewers associated with Reality Calling, and the publishing house, Radiqx Press. 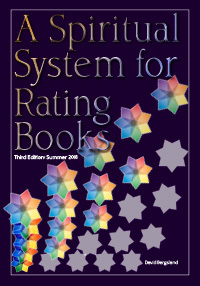 It is awarded by the reviewer, at his or her discretion, to indicate that the book or books so awarded meet the criteria we have established for Christian Religious Fiction. This is the spiritual level three in our rating system. All reviewers using this badge have been known and discerned by the leadership of Reality Calling/Radiqx Press to be trustworthy men and women of God, called by the Lord to review Christian fiction as a service to both the readers and authors of true Christian fiction. It is to be used seriously, after deliberate prayer, only when the reviewer is convinced that the book meets our criteria. If there were any concerns the reviewer has taken said book or books to the leadership group for discernment and critique. This level of Christian book is already uncommon. In it, the Christian walk is carried out by human effort covered by religious blessing, in most cases. Even if grace is understood, it is always in the context of people sharing what they think should be done in the light of the scriptures, tradition, or reason. These three commonly have equal weight and authority. The focus is the church, and that’s where salvation is found. Christianity has little do with their lives on a day to day, hour by hour basis. Believers are often left to figure things out. Although the false Bible verse, “God helps those who help themselves” is rarely mentioned—it is often assumed. It is closely followed by that other horror, “It’s all about love. A loving God wouldn’t do that…” That’s the core of the Great Delusion found in the Great Falling Away which is being experienced by most of the American church today. Again at this level, a huge area of problems is un-Biblical depictions of angels and demons. I am so sick of stories where a demon repents and gets saved by marrying a godly human girl. Sorry, folks, but it doesn’t work like that. Spiritual warfare: This is very rare in Level Three books. Commonly, there is no real knowledge of our spiritual enemies. They are almost always shown at Level One. Victory over these spiritual forces of evil [if mentioned]is accomplished by God working in “His mysterious ways”. If spiritual power is available to humans, it is only available to clergy. Spiritual help is obtained through the church and its various organizations, religious events, services, sacraments, blessed objects, and the like. Or, angels handle all of this stuff.